Secure Data Recovery Services is Highlands Ranch’s local certified drive recovery solution. We have several routinely audited certifications including SSAE 18 Type II certification, and we are a GSA approved contractor. Secure Data Recovery has decades of experience delivering fast and secure results, as well as excellent service to Colorado. Our facilities contain state-of-the-art technology that allows us to recover virtually any device or media that holds data. We operate Class 10 ISO 4 Cleanrooms ensuring that we provide the best environment for your media. Secure Data Recovery offers flexible service options and fast turnaround times. We have emergency services, same-day evaluations, and local dropoff and pickup services. Stop in to your local Highlands Ranch office for a risk-free data recovery evaluation today. Full accreditation with the Better Business Bureau makes Secure Data Recovery one of Colorado’s most-trusted sources of file restoration and recovery services. A full company review from the BBB shows our A+ rating, which is the highest score possible. This top rating demonstrates our exceptional commitment to the BBB’s service standards and a history of compliance. Secure Data Recovery is also your solution for digital forensics services. Our experienced examiners commonly deal with many different types of digital forensics cases. One common digital forensics case is an Intellectual Preoperty (IP) theft situation. IP theft can be a very serious problem for any local company here in Douglas County, and Secure Data Recovery is prepared to deal this type of situation and many more. Secure Data Recovery provides our customers with the best service options in the industry. Our customers can choose different turnaround times, including emergency services, to suit their data recovery needs. Our services are also backed by our no recovery, no charge guarantee. We even offer remote data recovery services for logical data loss issues. Our customer service team is working 24/7 assisting clients with their data recovery and digital forensics needs. Call 1.800.388.1266 today to start your free case and ask about our no recovery, no charge guarantee. 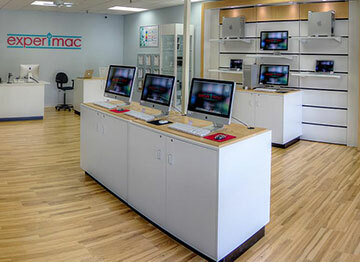 Our customer service can schedule a pickup for your devices, or stop into the Highlands Ranch office to drop them off. Old Drive - Perfect Recovery! My hard drive crashed about 10 years ago. The hard drive was/is a Maxtor manufactured in 2003. It had all our kids baby pictures from birth to about 7 years of age. I finally got around to looking into recovery and found Secure Data Recovery in a Google search. I knew it was going to be expensive but I decided to give it a shot. The service and speed was excellent, the turn around on the analysis took about 48hrs and the recovery another week. They were able to recover the entire drive and we got all our pictures back! Thanks Secure Data Recovery! I would defiantly use you again. We had a Netgear NAS go down on us. After several attempts to recover ourselves I contacted Secure Data and got Jeremy as my rep. He was extremely helpful in walking me through the process and answering any questions I had. They were able to recover the 6 TB of data we had on the NAS.